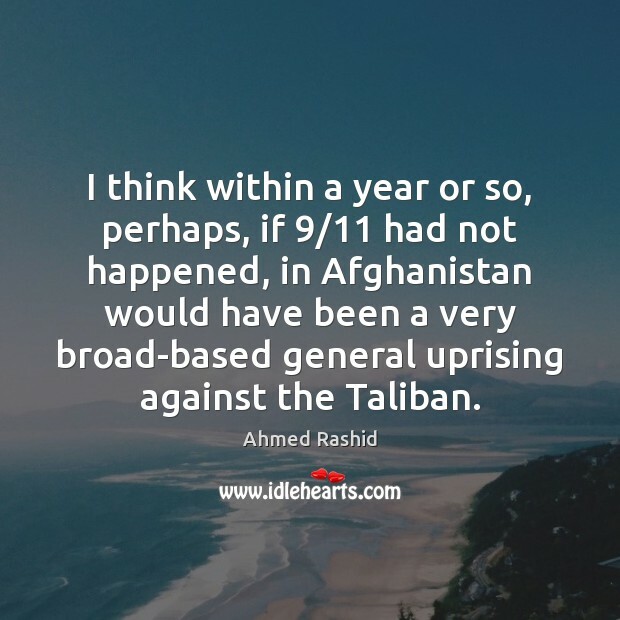 Enjoy the best inspirational, motivational, positive, funny and famous quotes by Ahmed Rashid. Use words and picture quotations to push forward and inspire you keep going in life! 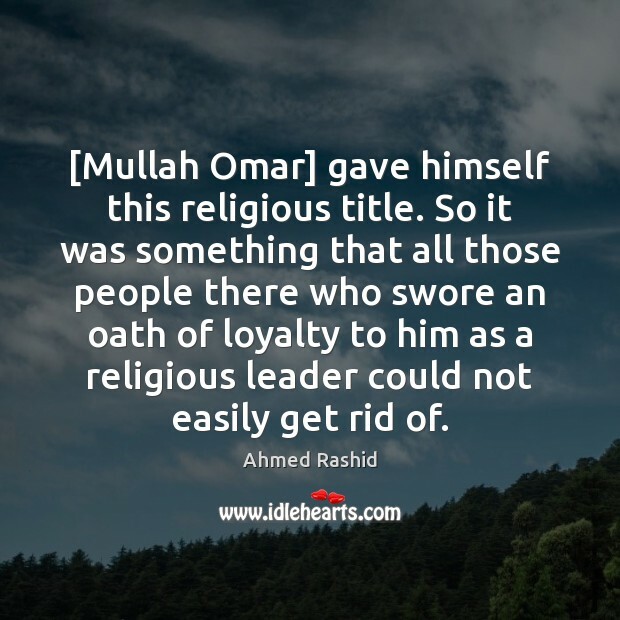 [Mullah Omar] gave himself this religious title. So it was something that all those people there who swore an oath of loyalty to him as a religious leader could not easily get rid of. I met a lot of the senior Taliban, and I asked them precisely [about Mullah Omar]. The most common answer was he is humble. And that was very true. 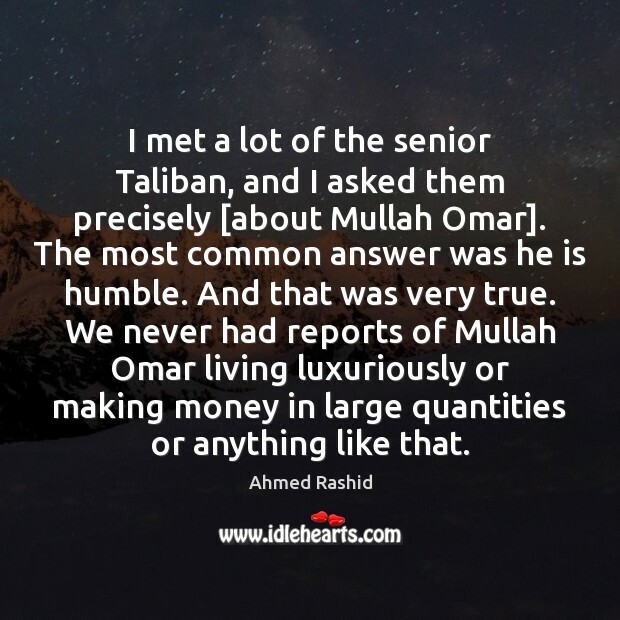 We never had reports of Mullah Omar living luxuriously or making money in large quantities or anything like that. 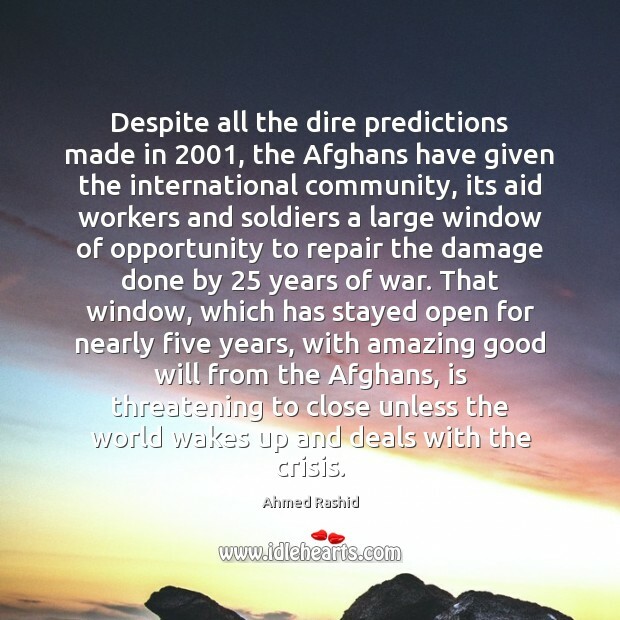 Despite all the dire predictions made in 2001, the Afghans have given the international community, its aid workers and soldiers a large window of opportunity to repair the damage done by 25 years of war. That window, which has stayed open for nearly five years, with amazing good will from the Afghans, is threatening to close unless the world wakes up and deals with the crisis.